My cousin has been analyzing some Carlile Shale Formation matrix. 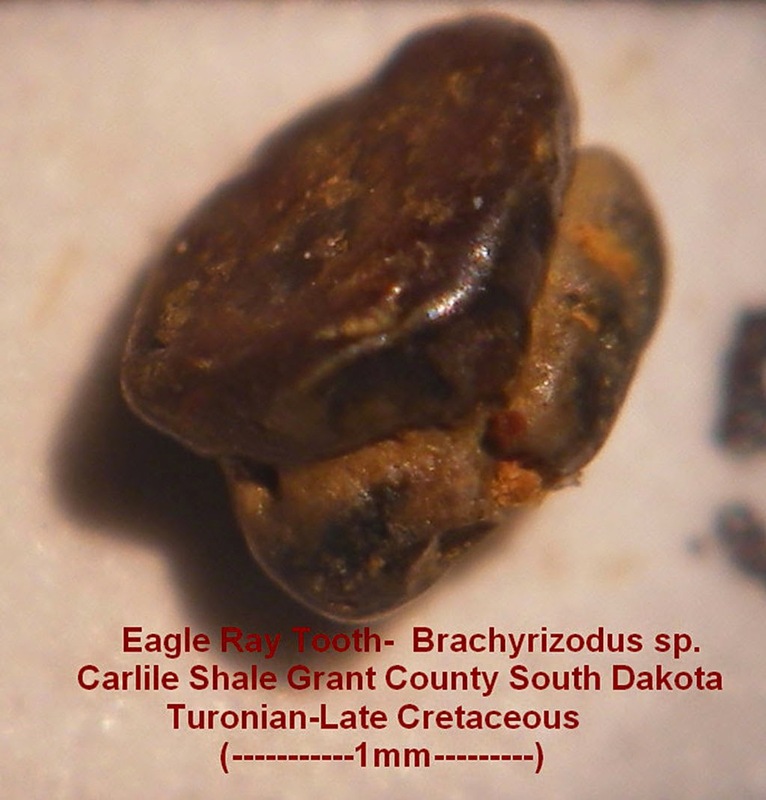 It was found in Grant County, South Dakota, USA. He has been carefully breaking it down to extract the hidden fossil shark teeth. The fossils date to the Cretaceous Period (Turonian). The picture shows what appears to be a Brachyrizodus (Pseudohypoluphus) sp. tooth fossil. Field of view (FOV) is about 3 mm. Thanks to Kenny for the image.